This is a post that I contemplated doing for a while and yesterday I got confirmation that it needed to be done. I was in Marshall’s exchanging some stuff and out of the corner of my eye, I saw a lady taking quick glances at me. I was a little creeped out so I avoided eye contact. Awkward, but I do that because it happens often… weird I know. Anyway, she finally came to me and said she loved my hair. In between trying to unpack her cart and talk to the cashier, she needed to know where I got my hair done, if I had a perm, if the person I go to does hair that isn’t permed and what products I used on my hair. As I was next in line, I managed to get her to give me a piece of paper to write my hairdresser’s info on and at the same time, I wrote my email address after I realized I didn’t have enough time or paper to write down my favorite products. What shocked her the most was that I did my hair myself. I went to Target which is next to my hairdresser and the same time I popped in and told her to give me a bunch of her cards. I get asked very often who I go to so I could as well just keep them on me. She laughed and said I was her walking poster :). So with that intro I’m going to share what my must-have products are for my hair and what I use for styling in no particular order. Also, I apply most of my products while my hair is wet prior to blow drying it. Click on the pictures to go to a link where you can purchase the products. I got this free during a promotion by Regis Salons (where I go to get my hair done) and I got hooked! I have thick hair and blow drying my hair is worse than flat ironing it (to me). 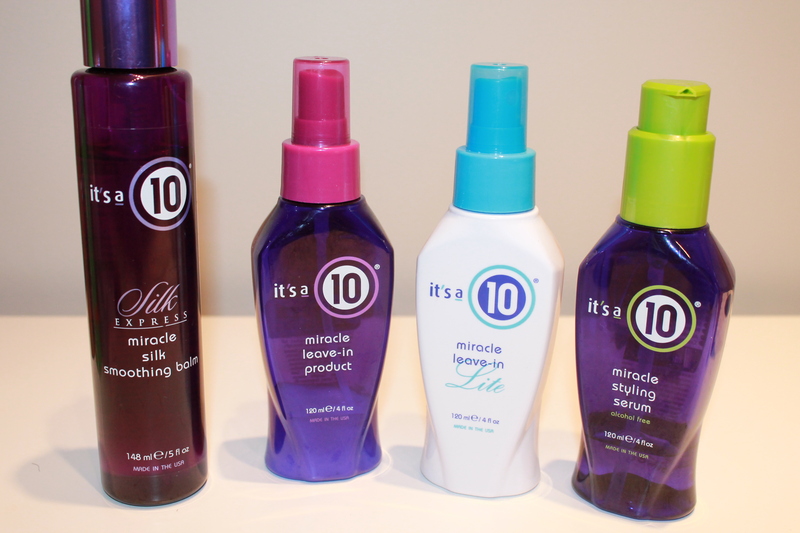 When I used this product, it took 10 minutes off of my blow drying time. I went from 25 minutes to 15 minutes. I don’t care how much this product costs, it works and makes my job easier – it’s worth every penny. During the drier months, I apply this product to my hairline to help the dryness I get from using a shower cap (steam everyday along the hairline). I massage it into my hairline while it is wet and use the dryer to seal it in. It’s not heavy so it doesn’t leave my hairline looking shiny, which is one of the reasons why I like it. It can be applied after blow drying but I like to know that the heat locks it in. I do use it after occasionally but it usually lasts until my next wash. I follow Dark & Lovely on Instagram and saw when they released this product and was very eager to try it. My friend got it before me and told me she noticed a difference so I checked Walgreens and managed to get the last bottle. I’m back on track using this product after my 6 week trial was interrupted by my vacation and then I had hair appointments which meant I wasn’t using it. I intend to do a full review of it after 6 weeks. It’s supposed to smooth out new growth and control frizz. I’m only waiting to see what new growth will look and feel like in 6 weeks, or until my next relaxer appointment, hopefully it’ll be more manageable. It is applied while the hair is wet. I heard about this product from Beat Face Honey and I decided to give it a try as I was in the market for a new conditioner for treatments. I love how soft it leaves my hair feeling. Now that my hair is longer, my treatments consist of me washing my hair, applying K-Pak, combing it through and forcing my ends into one and leaving it on as long as possible – sometimes overnight if I don’t get to wash it out and blow dry and flat iron in the same day. It runs a little pricy at $15 for a small bottle, but I’ve been getting it for $7.99 at Marshall’s. So I grab a bottle or two whenever they have it. When my hair was shorter and unable to hold in one, I’d apply it, comb it through, put on two hair caps and a hat while I dropped my husband to work and the heat it created gave it a heated deep conditioning. On those days, I’d try to leave it on for a minimum of 3 hours. This product is my life! I love serums. I use serum more than moisturizers. It’s always hard to apply serum evenly after styling your hair to tame fly-aways. When I saw this on television I was so excited to try it because it meant that now I won’t have very shiny spots where I initially placed the serum to work into my hair. It works like a charm! It’s lightweight so I can spray til the cows come home! Not really but I can spray my whole head after styling and just run my fingers through it and it won’t just sit on the hair. I highly recommend this product. As I said, I use this after styling or just to tame flyaways in between styling. When I was traveling, I had to use my carry-on only at one point so I couldn’t take my Garnier spray serum, so I spent almost 10 minutes in the hair product aisle in Target looking for a worthy back-up in a travel size. I chose this one because of one word – weightless. The last thing I need is a heavy serum/spray to weigh down my hair while on vacation when I cannot wash it and do my usual treatment. I poured out half and kept it at home so I’d be under the 3oz limit. I have to say, this almost made me get rid of the Garnier spray serum. It truly is weightless so I didn’t get that extra sheen I was hoping for and for that I will keep it as a back-up. I don’t want dull looking hair, I want moisture and a little sheen. My hair definitely didn’t feel dry but the sheen just wasn’t there. And there you have it! I go to the hairdresser every 5-8 weeks depending on if I have somewhere to go or my hair is just getting on my nerves and I no longer wish to deal with new growth or if the cut I have requires me to go more often for proper maintenance. In between appointments I do all my styling unless it is a major event and I get a hairdresser to do it. I currently use an AbsolutHeat flat iron (from Marshall’s for under $30) after my CHI flat iron stopped working in Norway and a Conair mini flat iron to do the back of my hair since it is pretty short. 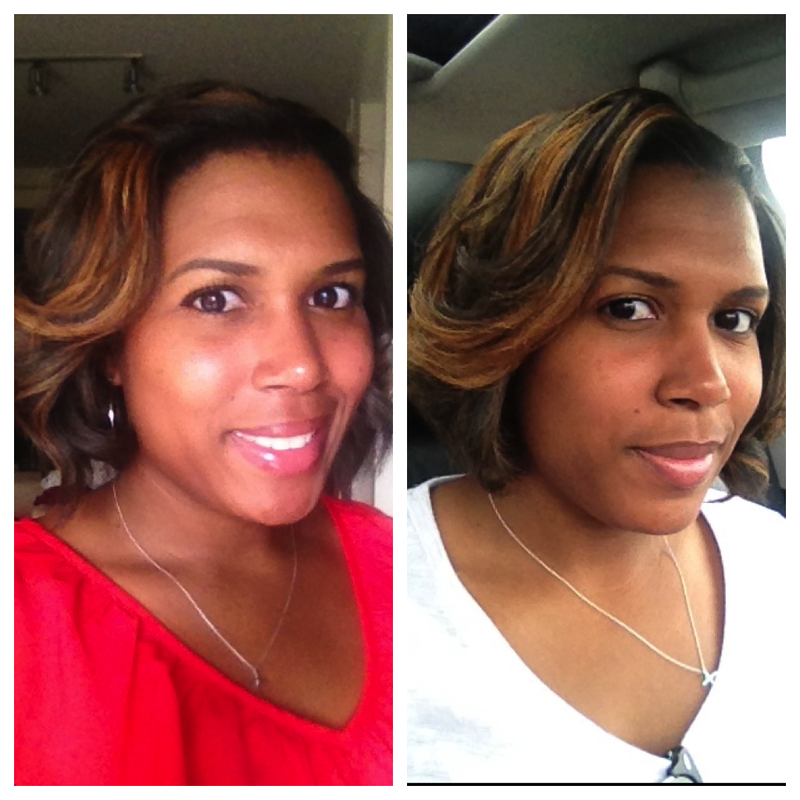 In the pics below, I styled my hair myself. I’ve been doing my own hair forever. Some women have perfected doing their make-up, and I’ve somewhat perfected making sure my hair doesn’t have too many bad days. Pics are from my Instagram. What are your favorite products? Any questions on other products or care? Leave them in the comments below and I’ll be sure to answer them.